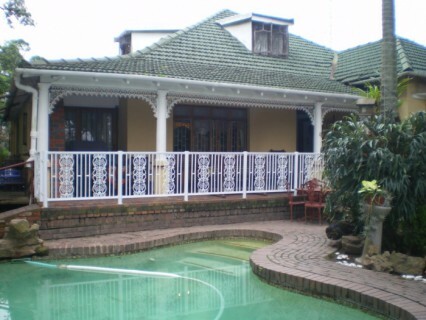 Search for available accommodation by selecting your prefered type. When you drive through the security gate at Homeleigh Haven old age home you can sense it's a home-away-from-home. You smell good home-cooked food and fresh cookies being baked. Our warm and caring qualified staff are on duty 24hours a day to look after and care for your loved one with dignity and respect. We also have a warm and caring doctor on call 24hours per day. And, a physiotherapist and wound sister are available on request when needed. 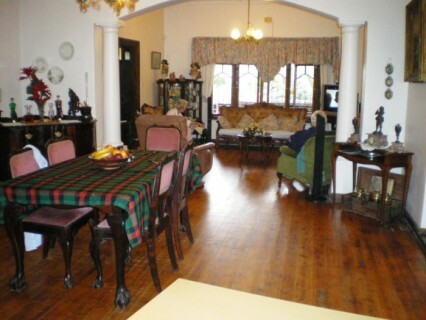 There are never more than nine people staying at Homeleigh Haven because this caring old age home is run by the owners on a very personal basis. 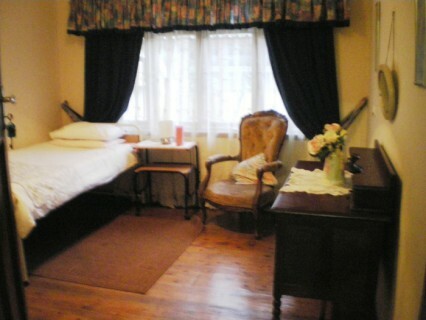 We have single and shared rooms with no more than two people to a room with a television in each room. All our rooms are tastefully furnished and each bed is dressed with crisp bed linen. We encourage the residents to bring their own pictures and photographs so as to personalise their rooms. You can lounge in our lovely large enclosed verandah overlooking our pool in our beautifully manicured garden and listen to the abundant bird life. We encourage our residents to use the free internet facility to chat to their family and friends. They can also use Skype to contact loved ones abroad. Our residents gather together in the lounge to chat over a cup of tea or coffee and watch interesting programmes on dstv. They can also listen to a golden oldie or watch a DVD. We organise a monthly gathering for families and close friends to join our residents for a braai or potjie and also become part of our big family. Our frail care facility is a warm, yet efficiently run unit. Patients are treated with dignity and with love. When sadly the time comes that someone passes on, they do so with dignity and respect , and with their loved ones at their side if they so wish. Included in the fees are: Full boarding, three hearty meals per day, teas and coffee, laundry service and outings to the shops. Ladies have their hair done every day and their nails painted. Men have haircuts and beard trims and also made to look and feel special at Homeleigh Haven old age home. GPS Coordinate: S29*50' 30" E30*52' 37"
string(43) "S29*50' 30" E30*52' 37""
string(28) "12 Marchmont Crescent, Sania"
string(28) "Homeleigh Haven Old Age Home"
string(2416) "When you drive through the security gate at Homeleigh Haven old age home you can sense it's a home-away-from-home. You smell good home-cooked food and fresh cookies being baked. 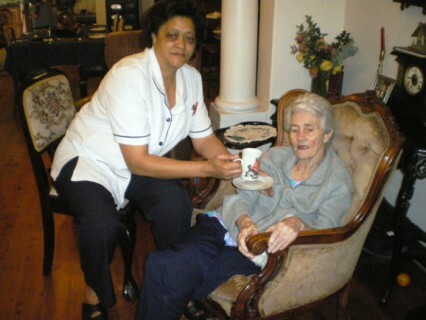 What you can expect at the Homeleigh Haven old age home Our warm and caring qualified staff are on duty 24hours a day to look after and care for your loved one with dignity and respect. We also have a warm and caring doctor on call 24hours per day. And, a physiotherapist and wound sister are available on request when needed. There are never more than nine people staying at Homeleigh Haven because this caring old age home is run by the owners on a very personal basis. 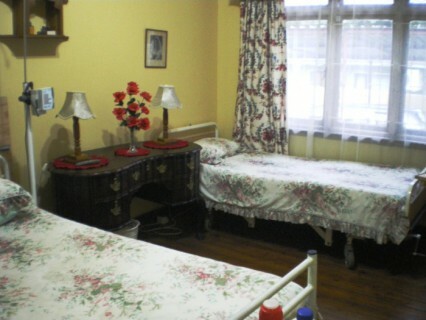 The type of accommodation available at Homeleigh Haven old age home We have single and shared rooms with no more than two people to a room with a television in each room. All our rooms are tastefully furnished and each bed is dressed with crisp bed linen. We encourage the residents to bring their own pictures and photographs so as to personalise their rooms. Special features at the Homeleigh Haven old age home You can lounge in our lovely large enclosed verandah overlooking our pool in our beautifully manicured garden and listen to the abundant bird life. We encourage our residents to use the free internet facility to chat to their family and friends. They can also use Skype to contact loved ones abroad. Our residents gather together in the lounge to chat over a cup of tea or coffee and watch interesting programmes on dstv. They can also listen to a golden oldie or watch a DVD. We organise a monthly gathering for families and close friends to join our residents for a braai or potjie and also become part of our big family. Our frail care facility is a warm, yet efficiently run unit. Patients are treated with dignity and with love. When sadly the time comes that someone passes on, they do so with dignity and respect , and with their loved ones at their side if they so wish. Included in the fees are: Full boarding, three hearty meals per day, teas and coffee, laundry service and outings to the shops. Ladies have their hair done every day and their nails painted. Men have haircuts and beard trims and also made to look and feel special at Homeleigh Haven old age home." string(114) "When you drive through the security gate at Homeleigh Haven old age home you can sense it's a home-away-from-home." string(31) "Homeleigh Haven retirement home"
string(23) "DURBAN - Greater Durban"
Rand Aid workshop nails it for handy men and women!